This wine has the perfect balance of intensity and elegance in a fun, exciting way. The intensity presents itself as a refreshing, tart fruit core when you taste it chilled right from the refrigerator or ice bucket. Then, as it warms up to room temperature, or patio temperature if you are outside, the Wine then gets more fleshy and mouthcoating, and the elegance and lower alcohol turn this into a classy jewel - more like a lighter body Red Wine which is perfect with everything from grilled Salmon to picnic fried chicken. 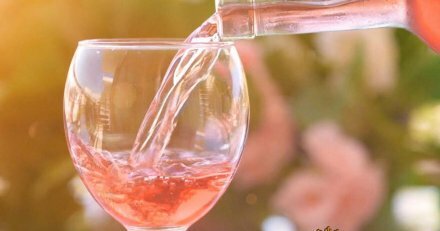 And when you see the color of this 2018 Rose, you'll know one thing for sure, it isn't just the best tasting Rose, it's also the most gorgeous! 100% Grenache. All the grapes are grown, harvested and made specifically to be Rose. Many/most Roses are created from juice pulled off a red wine fermenter. But not Davis; we grow these grapes to be Rose and nothing else, they are picked earlier and never crushed but rather pressed very gently. This timing and approach creates a far more natural and less manipulated Rose, which leaves more of that alluring, sensual side to the aromas and flavors. Our Rosé is aged in 100% stainless steel and fermented completely dry. It is bottled after 6 months.